Pia is so mega cool! With my growing love of vintage clothes, I’ve been enjoying to follow Pia’s daily life and style for a while. 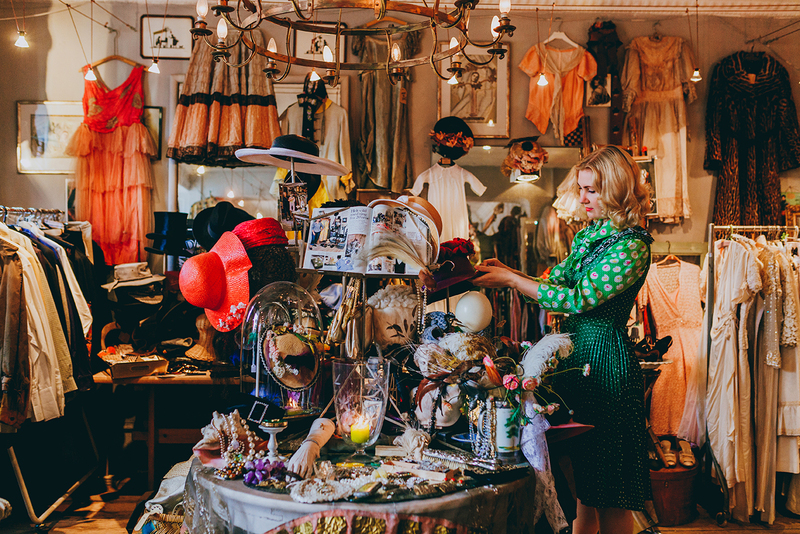 She has this incredible eye for seeking out the wildest, most beautiful and most unique items in vintage stores. I would love to join her on a shopping spree on day and scope out how she does it, because she’s seriously gifted when it comes to finding treasures, ethical as well as personal! Nevertheless, taking this passion and making it your livelihood; that’s quite an achievement. That’s what she has gone and done, though, and the following will show you how. She also shares tips to finding good things, what to look for and, most importantly, WHERE! Enjoy! Occupation: Author, public speaker, trade exhibition manager, blogger (Storms Magasin) and a thousand other things. Everything with vintage as a starting point. First and foremost, Pia, what’s your formal background? I studied Creative Communication at DMJX and subsequently spent a few years in the ad industry as an Art Director before setting up my own business. Animal caretaker or zoologist! I was always very fond of animals, but also always very into everything creative. Over the years, my dreams shifted towards a clothing designer and art direction. You may be the owner of Copenhagen’s, if not Denmark’s, biggest treasure trove of vintage items. The most beautiful glitter, the softest tulle. How did your vintage passion take off? Frustrations over my ‘weird’ body, which didn’t fit into any of the clothes I could find in normal stores (the start 00s weren’t great for those of us with a waist and hips). The frustration of everything (and everyone) looking alike. And mostly in black, grey, beige – argh. The frustration of not being able to afford great design and quality. 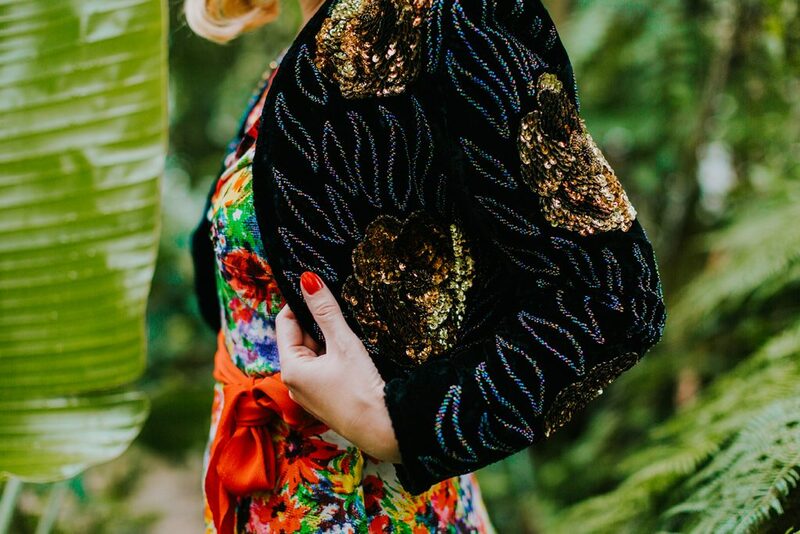 When I discovered this parallel world of vintage clothes, where my body didn’t look weird, and which entailed all of these wild colours and prints, and where I could afford delicious silk, wool and cashmere, I was sold. What is it that attracts you to these bygone areas? Just to get it straight – I have no desire to live in the past. I am very happy and grateful for living right now, but I am fascinated by various time periods, fashion ideals, crafts and design. And then I’ve always felt at home in a colourful and feminine expression, which I haven’t been able to locate in the modern, Scandinavian fashion. But in fashion history it’s there in plenty, luckily. You have managed to make your passion into a business and a way of earning a living – that has got to be the ultimate goal for a lot of us. How did you succeed? I earn part of what I need by doing graphic design projects and then part of it by means of my vintage fairs, talks, styling tasks and book sale. It’s a great balance, but I’m constantly on the lookout for new opportunities to create assignments based on my vintage passion. I think I’ve managed to (partially) make a living off my passion because I am insisting and because I just can’t help myself. The job I wanted didn’t exist, and so I was forced to creating it myself – it required (and still requires) constant idea development and the ability to see possibilities in the impossible. Haha, yes, it’s really quite a challenge to live in an apartment in Vesterbro with (soon) two kids and not being able to live without gigantic vintage couture gowns. Other than that, it’s a constant balance act to find the good solution in terms of maintaining my love of vintage while simultaneously making it my bread and butter. 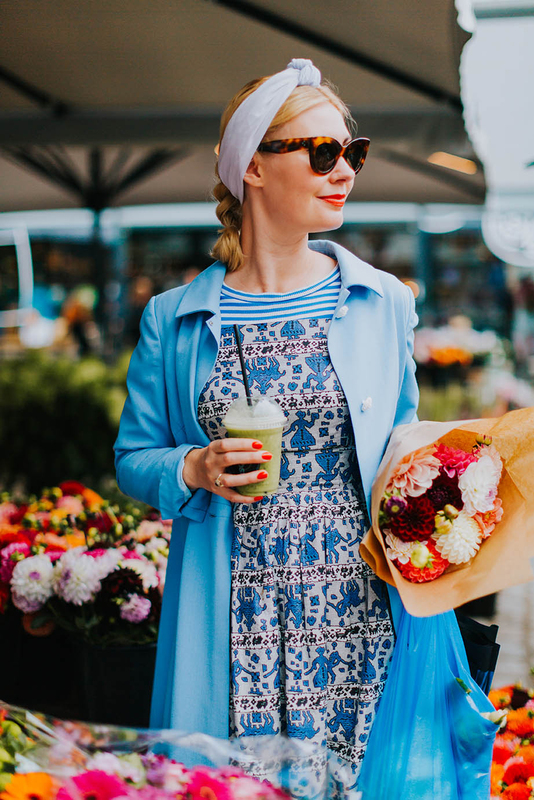 Your blog Storms Magasin is full of #ootd’s, buying tips and vintage clothes for sale. What made you start your blog? And what makes you keep on going? 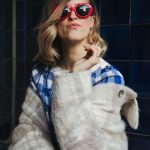 I launched the blog because I needed a space to share my excitement about vintage. Back then I didn’t know anyone who shared this interest, but I quickly discovered that the internet was full of countless fashion geeks and vintage fanatics from all over the world. It was pretty amazing. 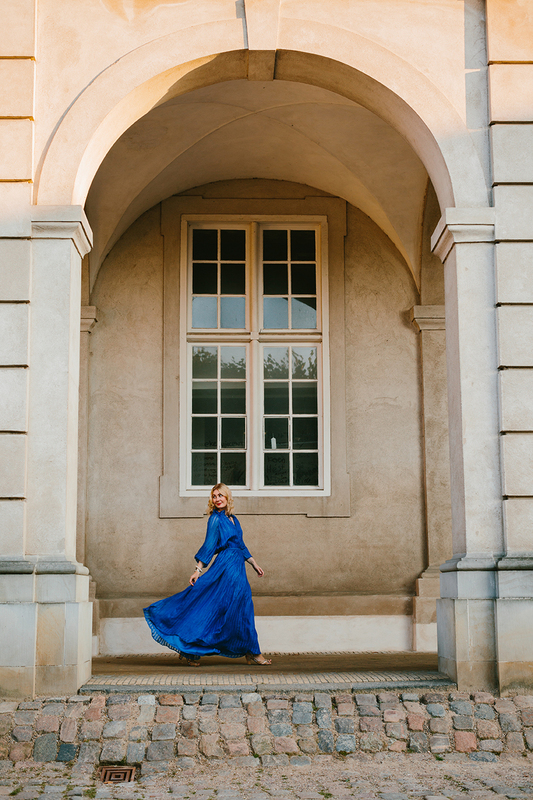 I’ve been very conscious about not turning the the blog into a job but rather a medium to provide me with a voice and a foundation for everything that I do – this is where I can share my knowledge, excitement and inspiration around everything to do with vintage, sustainable fashion and fashion history. How would you define your workday to us? My workdays vary a lot, it totally depends on which project I’m working on, but they always entail a significant amount of emails, a good cup of coffee, blogging and other social media, idea development and meetings with partners. Other than running the blog, you’ve engaged yourself in various vintage events, and talks, just as you’ve written a book AND still succeed in finding one vintage treasure after the other. HOW, first and foremost? – and second, when have you been the most proud of your achievements? I am always most proud of what I do when I meet people on the other side of the screen. Those who follow along and find value in what I write and talk about – then it feels meaningful. And then I’m proud of having organised Denmark’s first vintage fair, and must honestly admit that I was quite nervous the first time we opened the doors at VEGA and saw a queue stretching all the way down Enghavevej. To succeed with something that was so extensive required lots of blood, sweat and nervous nights. My book is obviously also a baby, which I’m still awfully proud of having produced. Author, really? I had not seen that coming! Can you pinpoint a moment which was defining for your career? An important decision, an important meeting or something similar? It’s a cliché by all means, but when I had my first child it really occurred to me that life is precious and time is short. And after my maternity leave, I therefore quit my safe and wellpaid agency job, signed a book contract with Gyldendal and launched the first vintage fair. I jumped into deep water without any sort of safety net other than faith in myself. It was terrifying, liberating and just right for me. … Pia, when will we get the follow-up to your book, VINTAGE? I’m just asking! Yes, good question! Ever since I published my first book last year, another one has been lurking at the back of my mind. I don’t know exactly which form it will take, and neither am I ready to talk about it yet, but fingers crossed it will happen one day! You mention that your wardrobe is gigantic and full of a lot of lovely and colourful vintage clothes. You must have a lot of favourites, but if you were to name one favourite item in your wardrobe, what would it be? And why? It so hard to have to choose between your babies, but there are obviously a few that stick out because they have a special story: my wedding dresses, my first ‘real’ vintage dress and then the tulle dream with which my husband proposed to me – he hadn’t bought a ring, as he knew that the path to my heart was paved with tulle and sequins. Oh boy, was he right. 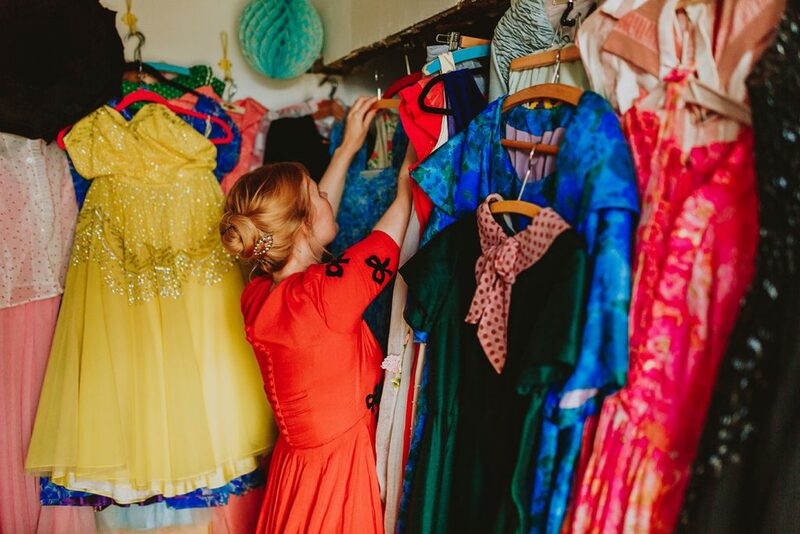 Choosing vintage and secondhand clothes is quite a vital action if we are to ensure a more sustainable consumption and a smaller climate footprint. How do we get more people to join the movement? Tell me about it! Danes are quite on point when it comes to a sustainable lifestyle, but several people do seem to forget (or may not be aware?) that the fashion industry actually is one of the biggest sinners. I think it’s important to keep talking about the problem and comply with the ideal as it will inspire others to do the same. How much space do newly produced goods take up in your wardrobe? I’ll guess it’s around 20%. I love mixing new and old, but once I dipped my toes in the vintage pot there was no going back, really; it has turned me into quite a quality snob, and so I’ll only acquire new things if they’re really nice and durable. I’ve totally dropped highstreet stores because of their poor quality and vast human as well as environmental problems involved. What is people’s biggest misconception about vintage clothes? That it’s hard. Hard to find, hard to buy, hard to wash, hard to keep, hard to take care of. 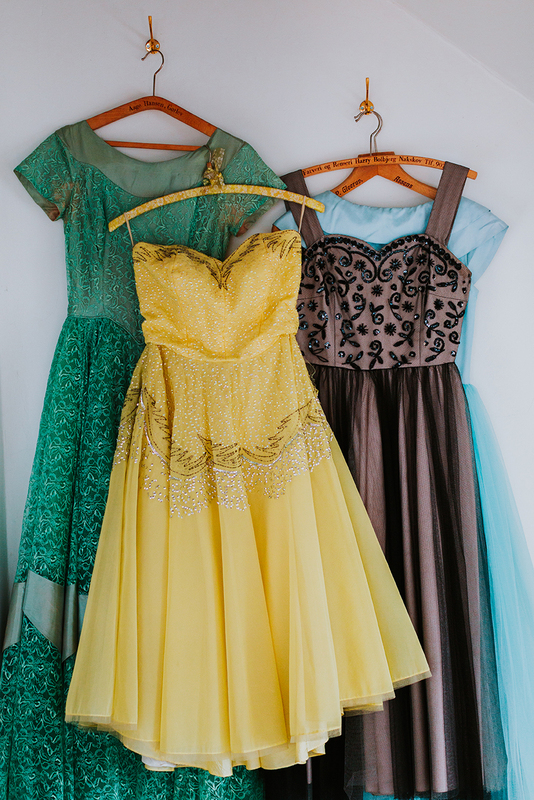 It’s true that shopping for vintage is an entirely different experience than shopping newly produced clothes, but it’s not difficult; it just requires adjustment and new knowledge. Which is why I wrote my book – to debunk some of the misconceptions and provide a basic knowledge around vintage. 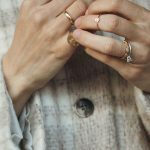 It obviously does take a bit longer to build up a vintage wardrobe – it’s not just clicking something home from ASOS or Zara. What’s your motivation? Is it the hunt for that special something? Sustainability? Having something that no one else has got? All of it! It makes so much sense to me to use something that already exists in the world rather than contributing to perpetuating a sidetracked industry. Additionally, I love the hunt for the next treasure; you never know when you’ll find gold. And owning something that no one else has? Definitely! A treasure trove is not a treasure trove if everybody else can click home the same items from the internet. It’s not wrong to say that you’re quite the expert at finding vintage clothes. What’s your favourite place for buying vintage in Copenhagen? Oh, that’s the eternally hard question. I’ve found great things in all of the vintage stores in Copenhagen, but probably spent most money at FN92, which has a special place in my heart. This is where I bought my first real vintage dress more than 10 years ago, both of my wedding gowns (for one wedding, though! ), and I’ve collaborated with Pauli Tvilling, the store owner, on multiple occasions. Do you have a little insider tip to what we should be alert to when hunting for vintage? A special designer, a special trending item? I’ll always recommend buying the things that make your heart skip a beat. Whether it’s trending right now is irrelevant as long as you love it. But other than that I always recommend buying outerwear and party clothes vintage – this is where you’ll find indestructible wool and couture gowns for nothing. What are your three best pieces of advice for people who are yet to enter the vintage universe? Use your senses. 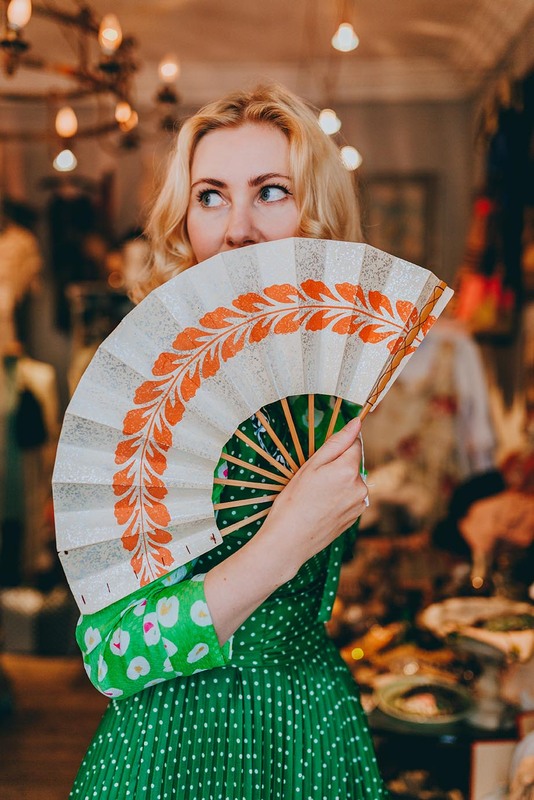 Forget everything about sizing or material and laundry information as you can’t count on finding any of that in vintage clothes. Activating your senses is a safer bet – feel the clothes, smell them, look out for holes and stains and notice how it fits your body. Almost all vintage clothes are previously loved and worn so you have to be attentive to their state and feel before taking them home. Be patient. Every item of clothing is unique, why the chances of it fitting you aren’t that big. You’ll have to have lots of time and go through everything. Try on the clothes. 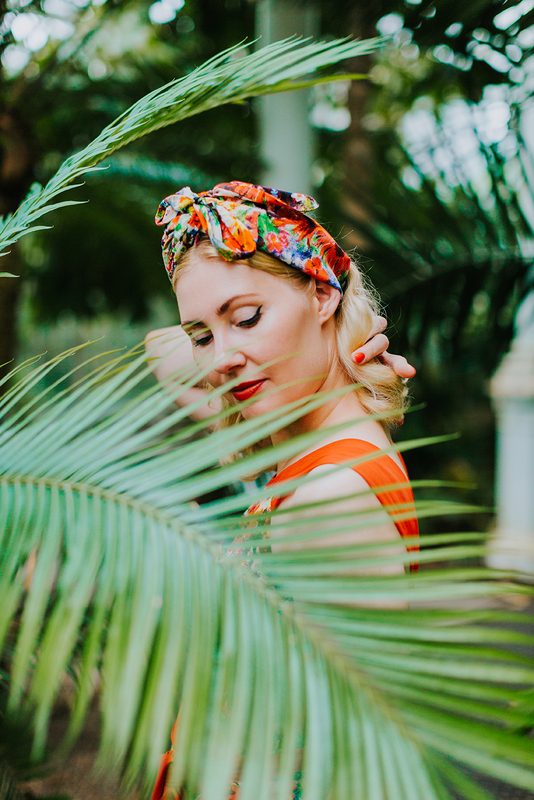 If you’re new in the vintage jungle it can be quite hard to see how the clothes will fit when they’re on the hanger. Often you’ll be positively surprised in terms of the fit once you try them on. 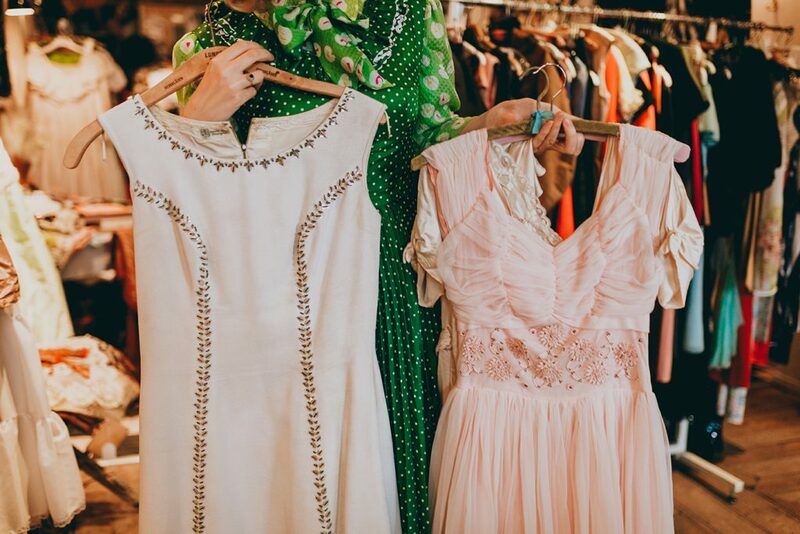 Do you still dream of opening your own vintage shop? Which challenges would it entail? No, I gave up on that dream a long time ago for two reasons; I realised that I think it’s much more fun to convey the vintage message rather than selling it. And after having been a weekend-sub at the vintage store, FN92, for a while, I realised how much hard work it takes. As a vintage store owner, you have to find, wash and repair all of the clothes all the while you’re busy promoting your business, cleaning, doing your accounting, handling clients and everything else involved in owning a store. It’s a huge amount of work, and it won’t make you rich although it looks very glamorous on Instagram. Looking towards the future, where in your career are you in ten years? Have no idea. Really. I’ve never had a clearly defined goal with my work life, and I still don’t know where I’m headed. Money, fame or career in itself doesn’t really excite me. I just love being able to work creatively with what I love, surround myself with cool and competent partners and have a multi-facetted and fun daily life. That’s not expecting too much, is it?